Shipping $20.50 Add item to cart for shipping estimate. You can SAVE on shipping by buying multiple items from the same seller. Shipping is charged by each individual seller. Sellers at times may also provide FREE SHIPPING on select items or on entire order if it meets the minimum order value. Please check sellers page for more details. 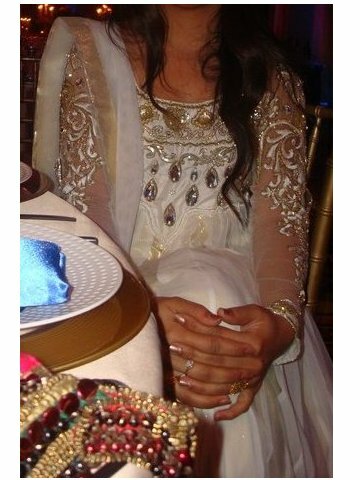 Manish Malhotra Inspired long white designer anarkali suit worn by Shilpa Shetty. A beautifully created long anarkali dress which is sure to make heads turn. Customized and created by stylists in India. Inspired by Manish Malhotra with slight differences in actual product but 99.9% is the same. It has been made to not only look good in the glamorous world but also look stunning in the real world also. Original is not a see through belly and it is not as long. More pictures available upon request. Price may be negotiable. Contact for inquiries. Shipping Cost $20.50 Buy multiple items online from Dream Wear to SAVE on shipping. All orders will be processed within 3 business days, once payment is received. If you have any other question, please contact us. All merchandise is shipped from our warehouse in California, USA. We use FedEx for all your shipping needs. We make every effort to keep a good stock of all the items on our site. Occasionally, a high-demand item may be sold out. If an item you ordered is sold out, we will notify you via email. 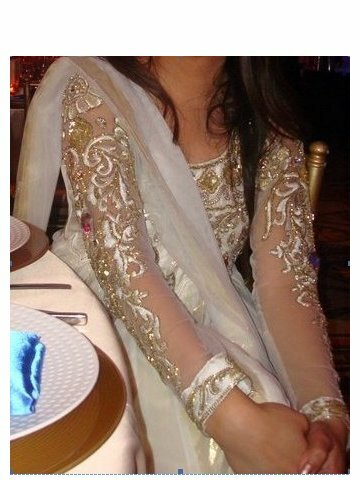 This item in Salwar Kameez & Anarkali Suits category was first added to our catalog on 11-20-2012. Buy Manish Malhotra Inspired Long Designer Anarkali Suit Churidar, sold & shipped by Dream Wear where you can shop online for Indian Clothing in Latest Style by Indian Bollywood Designers. This Salwar Kameez collection has been tagged as Manish Malhotra, Long Anarkali, Bollywood Outfit, Punjabi Churidar, Wedding, Reception, Indian Dress.